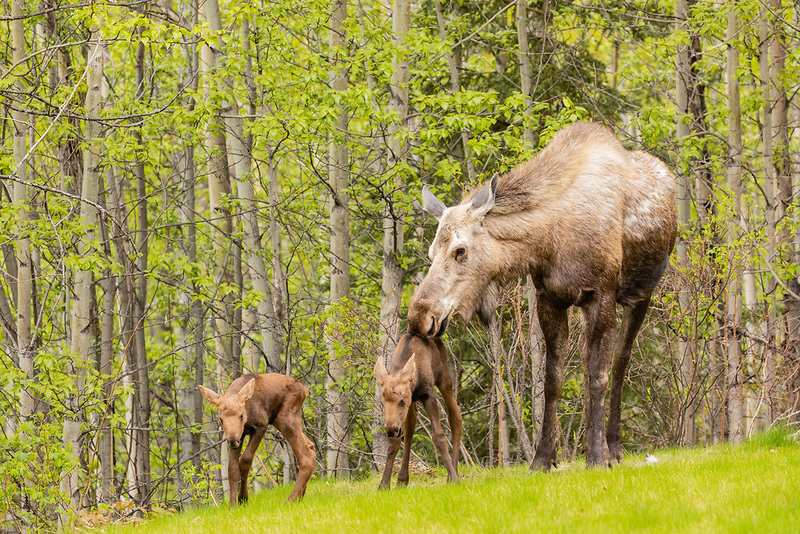 Cow moose (Alces alces) and newborn calves in yard in Eagle River in Southcentral Alaska. Spring. Afternoon.